Please check our free DICOM viewer. Agnosco viewer is fast viewer of DICOM images. 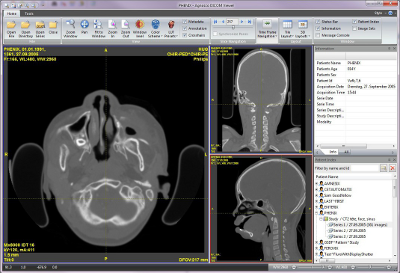 It allows you to open as single DICOM images as series representing volumes in 3D. The viewer is free for any use. Please provide us feedback! We are very interested to hear what people like, dislike, what features they are interested in, about bugs.